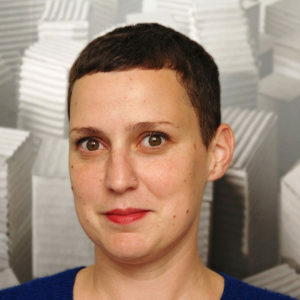 Valeria Fahrenkrog is visual artist and editor. She lives and works in Berlin. Main subject in her work is to explore different forms of representation and dialog between (urban) spaces and artistic language. The development of strategies in order to translate diverse issues find their expression in various media, from installation to painting. In her practice, artistic work can take place during research in a library, in an editorial meeting or during a debate. Exhibition & Publication. 13 Artists from 11 different countries reflect through artistic interventions the „Schwerbelastungskörper“ (heavy bearing body) on Monument day in Berlin.